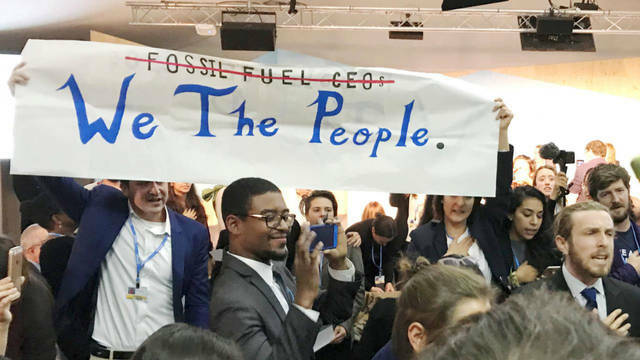 Kumi Naidoo: United Nations Shouldn’t “Pander to Madness That Comes Out of the Trump Administration”; Special Report: Revolt at Trump’s Pro-Coal, Pro-Nuclear & Pro-Gas Panel Rocks U.N. Climate Summit; 1st Female President of the Marshall Islands & Her Poet Daughter: We Need Climate & Nuclear Justice; “Climate Apartheid”: South African Climate Activist Kumi Naidoo Slams Inequality at U.N. Summit.